The IWC plenary is in full swing and we have much to report! Yesterday’s focus was on the Aboriginal Subsistence Whaling proposal, the comments from NGOs and delegates were heartbreaking and we will post on this very important topic soon. Monday’s meeting consisted primarily of the chair running through reports on the activities of the Scientific, Conservation, Financial and Administrative Committees, a summary of the findings of an independent governance review commissioned at the previous IWC meeting and then an introduction of each of the proposals to be considered this week. On day one, Sao Tome and Principe, and Liberia gave statements indicative of the political agendas they seem to be pursuing here at the IWC. Both called for “sustainable development of living marine resources” in pursuit of “sustainable and development and food security”. The topic of food security (a pressing global topic, to be sure) has been hijacked in recent years by Japan’s pro-whaling coalition to support their calls for the reintroduction of commercial whaling. On that note, following in the footsteps of other extractive industries like oil and gas companies, Japan has been hard at work re-branding their proposed exploitation of whales as being part of a push for green ‘sustainable’ development. It merits mentioning again that this year’s chair is Joji Morashita, Japan’s long-time delegate. This is rumored to be Morashita’s last year at the IWC,and being chair of the IWC gives him a fair amount of discretion in how he chooses to run the meeting. This could manifest in actions, like refusing to give space to NGOs to talk, although to this point he has promised to be fair and has followed through. Joji has said now a few times that he would prefer that discussions take place more in informal groups before and after sessions rather than in heated debates in the plenary chamber. This move seems likely to limit the participation of NGOs, since most of our influence comes from the ability to make interventions (statements) during the plenary, pushing for specific actions and advocating positions. Keeping these meetings in smaller, informal groups between government representatives effectively removes NGOs from a lot of this discussion. Even having said this, everyone on both seems to be gearing up for a brawl. IWC’s various committees presented their reports on Monday. First up was the Scientific Committee (SC), and man, have they been busy! Since the work of the SC forms the basis for a lot of the proposals we will see this year, I’ll devote a bit more time and detail to this. With 31 countries and ~150 delegates at each of their meetings, the SC has been working on a wide range of topics. These range from the models used to assess health of populations (and which advise Aboriginal Subsistence Whaling quota requests), to how anthropogenic factors have affected cetacean health and ocean ecosystems. Seriously, these topics are wide ranging, with reports written for many issues including mercury pollution, heavy fuel oils pollution, bycatch and entanglements, how whale stocks are defined, effects of anthropogenic sounds on whales, and ecosystem modelling, just to name a few. One topic near and dear to our hearts here at ACS is the plight of small cetaceans. In this report, the SC outlined the extreme risk posed to the vaquita, as well as other highly threatened small cetaceans such as the Franciscana, Yangtze river dolphin, Maui dolphin, the Amazon river dolphins (the boto and tucuxi) and the Taiwan humpback dolphin. Next was the conservation committee. The IWC’s conservation management plans for specific whale stocks are detailed, as are plans aimed at the preservation of specific species of small cetaceans, highlighting again their importance and imperiled position. There is also the Governance Review, a report commissioned at the last IWC to give feedback on how IWC processes could be improved, effectiveness increased, and how to make meaningful changes to aid in the solvency of the IWC. This came about for a variety of reasons, first among them being that there has never been an independent review of procedures. Because of the deadlock of the Commission and its financial woes, the Governance review sought out and recommended changes to operational procedure after conducting interviews, surveys, and a literature review of IWC documents. Here is the link to the public copy of the IWC documents for those interested. Note that you will have to create a free login if you wish to access the documents from this year. If you dread boring legalese, we are here break down each of these items and give you the run down. Disclaimer: this will be a lengthy post. We will be posting on most of these and will briefly remind you what the proposal is about for those who want to skip the following details. Kicking off matters was a proposal that simply would accept the recommendations of the independent review. This was actually taken up by the floor immediately and passed by consensus, with Japan expressing some concern about bias because there was a low response to the surveys they sent out. 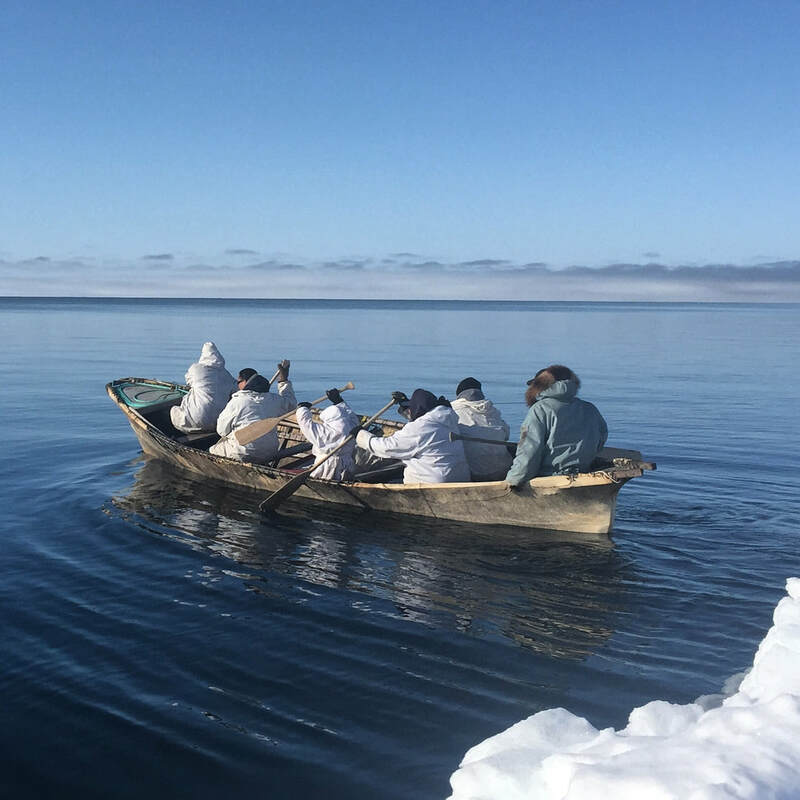 ​This year’s Aboriginal Subsistence Whaling proposals are more than the usual granting of quotas to communities in the 4 ASW countries. In addition to the quota requests, there are several big changes being proposed. Second would be a carry-over provision for unused strikes. To break this down, you need to know a few things. In addition to quotas that limit how many whales can be taken (“landed”) each year, there are limits on the number of strikes allowed. A strike is when a whale is hit with a weapon, typically a harpoon, but in the case of the Russian Federation and Greenland, this could also mean a firearm. The strike limit is imposed to limit the number of whales that are struck, but get away, as they may come away with significant injuries, or die at a later time, which is a welfare issue. Limited strikes mean limited attempts to land whales in the quota. This carryover provision would grant a total number of strikes for the quota block, rather than per year. The U.S. delegate explained the rationale for this as providing more flexibility to native hunters. In years where conditions are more favorable, it would allow them to take more strikes, and avoid being pressed to take them in more dangerous conditions. Combined, these two represent huge changes to the IWC structure. Far from being limited, automatic renewal represents the granting of quotas without the oversight of the IWC. The authors claim that the same reports would still have to be provided, and that oversight would be provided by the scientific committee, who would prevent automatic renewal if a population was threatened. However, setting a precedent that whaling quotas of any kind are acceptable without committee oversight seems rather dangerous, especially in a year when Japan is pushing to set up a “sustainable whaling committee”. This resolution was passed today. This is a proposal that has come up repeatedly over the last 20 years, so we were hoping that the 20th attempt would work. The proposal is fairly simple, as it seeks to create a marine protected area for cetaceans in the South Atlantic, similar to the sanctuaries created by the IWC around the Southern Seas, and in the Indian Ocean. Proposed SAWS sanctuary would have been the size of 2 United States of America! Here we can see a prime example of how the push for renewed commercial whaling has effected conservation issues. Japan and their pro-whaling coalition have long been opposed to the establishment of the Southern Atlantic Whale Sanctuary (SAWS), and even timed their quorum-breaking 2011 walkout of the IWC plenary to coincide with a vote on the SAWS, effectively killing it as there were not enough members present to take a vote on establishing it. Given the heated atmosphere this year, particularly in the opposing proposals of Japan and Brazil, this year is tough. Word on the street is that between their Florianopolis Declaration, the 2030 agenda, and the resolution on ghost gear, Brazil just hasn’t had the time and capacity to put more legwork into flipping members of the opposition. UPDATE: Tuesday morning, Brazil requested that the SAWS be brought to the floor for a vote, saying that discussions have taken place over the last 10 years, and they did not see the utility in sending it to a working group. After some heated discussion, the measure was brought to a vote, where it unfortunately failed, with 39 for, 25 opposed, and 3 abstentions. Since this was a schedule change, it required a 3/4ths majority for passage, which translates to roughly 50 votes. This is the other big proposal this year, and it looks to do a lot, none of it good. First of all, the “Way Forward” Proposal seeks to set up a committee for the resumption of commercial whaling. Japan calls this the “sustainable whaling committee”. This is a pretty blatant attempt to co-opt the language of the environmental movement, much like other extractive industries, like many oil companies, have tried before. Second, the proposal would seek to set quotas for commercial whaling of stocks deemed “not at risk”. This flies in the face of the 1986 moratorium, we are curious to see how Japan seeks to justify this. Finally, Japan wants to convene a diplomatic convention for the purpose of amending the International Convention for the Regulation of Whaling (ICRW) charter, to allow schedule amendments to be passed with a simple majority (over 50%), instead of 3/4ths majority. They are marketing this as a way to overcome the deadlock of the IWC. They have advertised that if this passes, other proposals, like the South Atlantic Whale Sanctuary, would have a better chance of getting passed. It’s worth pointing out here, that even if they convened a diplomatic conference, they would be unable to edit the language of the document without substantial support as well as the approval of the United States, which simply isn’t going to happen. Needless to say, none of this is good news for whales or for the continued protection of marine ecosystems. If allowed to pass, we are looking at a new era of industrial whaling being opened up. Japan has really pulled out all the stops for this proposal, but is looking to pass this by consensus. What is clear is that there is no conceivable circumstance where this is going to pass by consensus, as there is strong opposition to each of the items. Because of all of this, it seems that Japan is playing a longer game here. Likely, they are going to take their proposal to the private working groups and see what ideas gain traction, and what don’t. Possibly their goal is to slowly chip away at the opposition while adding support for most of these items by buying more influence with countries adjacent to their sphere of influence. By asking for consensus approval, when the measure inevitably fails, this will play into Japan’s claims that the IWC’s decision making process is broken due to the polarization of this issue. Lastly, their large entourage and the huge number of media representatives from Japan that came to this meeting hints that their goals here are not purely related to the IWC. In the international arena, Japan has been embarrassed in recent years by the failure of trade agreements that they favored, combined with reports of Trump apparently telling Japan’s Prime Minister Shinzo Abe that he “remembers Pearl Harbor”. The IWC is a place where they can flex some influence, pushing back a bit. Domestically in Japan, there is some debate as to the support for whaling and whale consumption. What is clear through several conflicting surveys is that while most Japanese do not consume and do not have an interest in consuming whale meat, there is a vocal and active minority that see this as a deeply held aspect of their cultural identity and practices. Most of the rest of the population appears mostly ambivalent, rather than fervently opposed, so there is definite value in appealing to those that do identify with whaling. Think of it like the influence (to a lesser degree) of the NRA in the United States. While survey after survey show wide support, even among Republicans for some basic gun control and background check laws, opposition is sporadic and not as organized or as invested in the passage of these laws than the NRA and their supporters are in blocking them. Japan’s whaling proponents are outspoken, and identify whaling as being a key part of their national identity and tradition. There are few political concepts more powerful than appeals to national identity, and the whaling issues plays into this well. This proposal seeks to draw attention to the Scientific Committee’s recommendations regarding the effects of underwater noise levels on cetaceans. This takes note of the importance of sound for the livelihood and survival of whales, as well as noting the effects of persistent high levels of sounds on both whales and lower trophic levels in the ocean food chain. Ghana’s resolution on Food Security is another that has come up repeatedly in recent years, each time with slight modifications. The resolution itself calls for the sustainable development of marine resources for the allieviation of hunger. This resolution really only can imply one thing in this body: the resumption of commercial whaling. As a result, this is one that has been taken up again and again by Japan’s voting block, and couches their resolution in terms of “sustainable development”. The IWC as it stands now would not prohibit the culling of small cetaceans in country’s territorial waters, so long as there is no domestic regulation prohibiting, and the IWC mandate deals specifically with whales, so the only implication left is that of commercial whaling. I believe there is more to this than simply vote buying on Japan’s part (although that is a very real thing that occurs). The statements made so far reflect a very real grievance concerning development, since it is now largely nations responsible for the decimation of the whale population who are now telling developing nations that they cannot practice whaling. No doubt this will all lead to some fascinating conversation. In order to deal with this problem, the resolution seeks to do 2 things. One is the training and formation of response networks of first responders who can help disentangle whales. At the recommendation of the conservation committee, networks between these teams will be coordinated internationally, as entangled cetaceans can move between the territorial waters of one country to another. Secondly, the resolution seeks to promote the responsible use of fishing gear. The Florianopolis Declaration acts as a counterpoint to Japan’s proposals at this IWC. This declaration reaffirms the moratorium on whaling, and emphasizes the importance of pursuing the non-lethal, non-extractive use of cetaceans. The declaration goes further in advocating for conservation actions broadly focused on ecosystems health and the protection of cetaceans worldwide. After the reading of the Florianopolis Declaration, Joji Morashita expressed that he would like to see the authors of the Declaration and Japan’s Way Forward proposal come together to find ground for consensus. Make no mistake though, there really isn’t common ground here, since any resumption of whaling would immediately negate statements that support the exploitation of whales. It’s like thinking that the middle ground between a house being ransacked an the position of a homeowner is to just rob the place a little. These are two mutually exclusive positions, both based on deep philosophical differences as much as they are on specific policy recommendations. This proposal on cetacean function draws attention to the reports of the Scientific and Conservation committees on how the preservation of cetaceans promotes broader ocean health throughout ecosystems. This is meant to situate whales as indicators of local health, and promote conservation actions surrounding them. Phew! Ok, you should be all caught up after reading this. More to come soon on how these proposals will play out. This weekend we took a brief break from NGO and US delegation meetings to get out see some of the beautiful country here in Southern Brazil, as well as a few unique opportunities to witness some of the cetaceans that keep us inspired and pushing for the conservation of whales and their home. More on that at the end, but right now let’s talk about the what we are expecting at the IWC 67 plenary, scheduled to begin in just a few moments. This year is going to be intense, many NGO representatives agree it is gearing up to be a landmark meeting. ​Japan is not messing around this year, they came well prepared with many resources, and they came to change the whole game. This year they have brought a massive delegation, 66 total members! Most nations have 1-2 people in their delegation, the US usually as a handful. They have 6 members of Japan’s National Diet (their legislative branch of national government), as well as 2 vice ministers are here as observers. Along with them is an entourage of other government officials, as well as 65-70+ members of the Japanese press! With this extensive effort for domestic attention, it is clear that Japan is planning to make waves, it is too early to tell how big these waves will be. The atmosphere is electric with energy as tensions are rising. Just yesterday, members of the Japanese delegation were met by local protests at the Florianopolis airport and were escorted out by riot police. There is also the issue of Japan’s repeated statements that they might leave the IWC if commercially whaling is not reinstated, this threat has grown rather stale as they have been said this time and time again. That being said, Japan’s high-profile entourage is a new development for them, and signals something big and potentially looming on the horizon. Perhaps they are planning another spectacle like their 2011 walkout, where Japan and 20 of their allies broke quorum by leaving the plenary before a vote could be called on a South Atlantic Whale Sanctuary. The South Atlantic Whale Sanctuary, by the way, is up for a vote again this year. Another spectacle like this is far more likely than Japan actually following through on their threats to withdraw from the International Whaling Commission entirely. Organizations like the IWC do not exist on their own but are part of a complex web of relationships between countries that are woven between various diplomatic organizations. Japan would certainly face consequences in other international relationships if they were viewed as unreliable and unstable. This can impact their reliance upon fisheries and many other areas. In addition to all of this, we are looking at a huge number of proposed resolutions this year, so expect the first day to be a more or less a formal announcement of most of these to the plenary, along with clarifications of what each is intending to do. We will keep you updated on each of these as this unfolds, but expect big moves on Aboriginal Subsistence Whaling (ASW) issues, pushes for the IWC to reorganize aspects of its functioning in order to become financially solvent again, conservation issues such as sound pollution, ghost gear, and marine debris, and much more. ​During the past week here in Florianopolis, we have heard so many stories that are equally unsettling as they are fascinating with regards to the history and politics of the IWC. We had the pleasure of joining a West African delegate during our touring, the delegate filled us in on what they describe as ‘reality tv like drama’ seen in these meetings, and told us about how they have tried to encourage their neighboring countries to resist being bribed and bought for votes by Japan. Our excursion around Santa Catarina state in Southern Brazil began with a stop at a lighthouse at Santa Marta Cape, which is the world’s largest structure built with cement containing whale oil! The imposing bone white structure is composed of sand, shells and whale bones ground to provide body to the concrete mixture. ​From there we drove to Laguna to witness fishermen working cooperatively with local bottlenose dolphins! These artisanal fisherman wade into the water at the lagoon mouth with nets. 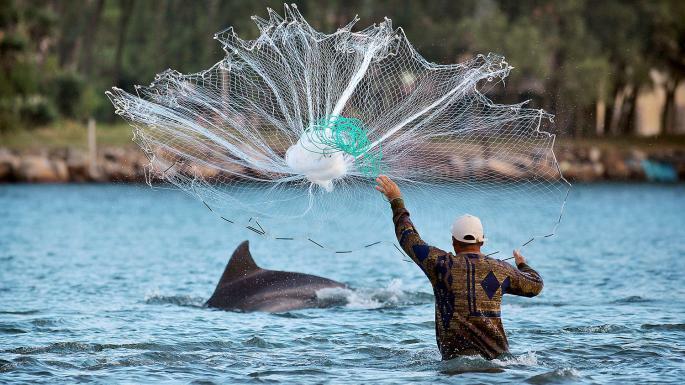 When bottlenose dolphins appear, their feeding would dives millet towards the fishermen, who would then cast their nets and haul in their bounty. Witnessing this human-animal cooperation firsthand embodies what we are striving for, working with our fellow animals on this planet and sharing natural resources rather than exploiting them out of existence. ​Next stop was the last standing whaling station in Southern Brazil, which was in operation all the way until 1973 and has since been restored and converted into a museum by the local conservation group Projeto Baleia Jubarte. From here we moved on to Ribanceira Beach where we climbed sand dunes and watched Southern Right Whales from shore. It was here, seated in powder soft white sand admiring mothers as they roll and lift their pectoral fins above the surface while their calves clumsily breach, that we are starkly reminded of why the past belongs in the past. Whaling is an important legacy in human industry, whale bodies have literally and figuratively built our structures and society, and we are returning the favor by possibly exterminating their societies. We owe our progress and our success to them and we owe them protection. Ola from Brazil! I am beyond excited and honored to report to you on ACS's latest updates and behind the scenes details of the IWC. This first post will guide you through the basics of how the IWC meeting works, and the major issues that will be brought to the table this year. Don't forget to check out our social media on Facebook, Twitter and Instagram for additional live updates, fun facts, and insider information. For those who may be unfamiliar with the IWC, the International Whaling Commission was established in 1946, originally meant to regulate and conserve whale stocks in response to the dramatic and sharp decline in whale populations seen during the height of commercial whaling which was rampant throughout the twentieth century. For example, blue whales were nearly wiped out from this planet forever. Thankfully in 1982 the IWC, under pressure from the world wide anti-whaling movement (including ACS's own instrumental work), passed a world wide moratorium on commercial whaling. Under this moratorium, the only whaling activities allowed would be for the purposes of aboriginal subsistence whaling, which permits indigenous groups that have cultural and nutritional needs to take small numbers of whales, and stipulates that products from these hunts not be sold commercially or used for profit. The IWC oversees these hunts by setting quotas , limiting the number of whales that can be taken from any given whale population. These quotas are set by the IWC under the advice of the scientific committee, who analyze data collected on whale populations and create models that seek to project how environmental, climate, and other changes may effect population. Quotas are only recommended to be set once they are deemed to not have a 'significant' impact on the survival of a particular population of whales. By now you have probably guessed that the moratorium was met with strong opposition from some nations, particularly Norway, Iceland, and Japan, who have in one way or another continued commercial whaling activities in contravention of the moratorium, either in outright defiance, or under the guise of a "scientific whaling" loophole in Japan's case. At nearly every IWC meeting, these nations have pushed for the reopening of commercial whaling fleets, efforts that are being resisted by a coalition of NGOs (including ACS) as well as the many nations opposed to commercial whaling. The pro-whaling opposition has taken many forms, and is notorious for instances of vote buying and other shady, backroom style dealings (more on that later). So what kind of fireworks are expected this year at the IWC? ​This meeting is shaping up to be a big one, with some major proposals that could shape how the IWC functions for years to come. Japan is putting forth a proposal that could effectively end the moratorium and reopen commercial whaling. They are attempting to do this by circumventing the commission, proposing to convene a separate diplomatic convention that would alter the IWC's charter in two important ways. The first way would to change the way voting is done on proposals at the IWC. Instead of the current 3/4th majority vote which is required to pass any thing, they want to change it to a "simple majority", meaning anything over 50%. This proposal combined with their vote buying and bribing of countries to represent their interests (it turns out Mongolia does NOT have a long or colorful whaling history), this would give Japan and their allies the ability to overturn the moratorium. Secondly, they are proposing to establish a "Sustainable Whaling Subcommittee", which ranks up there with "clean coal" in meaningless, oxymoronic phrases, given how threatened most whale populations remain globally. Using this committee to set commercial whaling quotas, Japan is hoping to gain a green light for their ongoing whaling activities, while throwing in some old fashioned greenwashing for good measure. 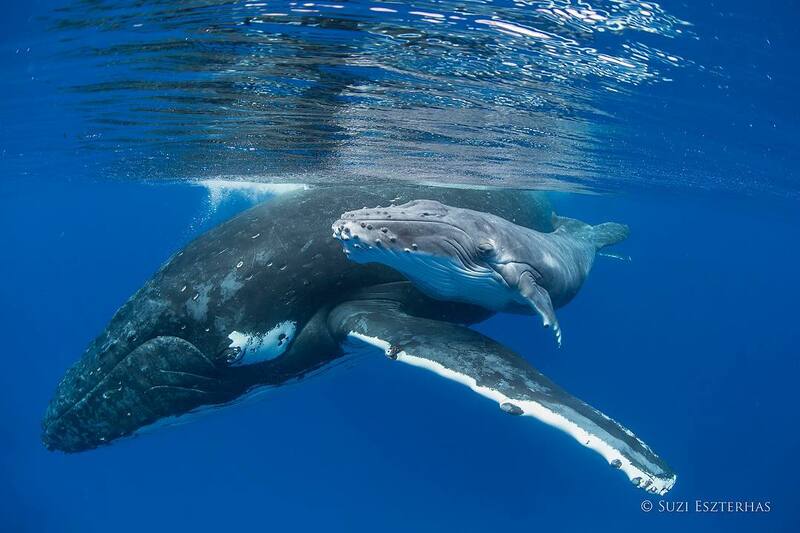 Once again the IWC will be considering once again the establishment of a South Atlantic Whale Sanctuary, an effort spearheaded by several nations, including Argentina and Brazil. However, the efforts at creating this sanctuary have been continually blocked by Iceland and Japan, who have effectively been holding the issue hostage as leverage to get their whaling efforts passed. We will soldier on with this nonetheless. Finally, the IWC is at a financial crossroads, and how it chooses to deal with these issues could have a lasting impact on the organization. Put simply, nations are required to pay membership fees to participate in the IWC and these costs have been skyrocketing, with fewer and fewer nations able to pay their membership fees each year. Unfortunately, this has meant stalwart anti-whaling nations like India dropping like flies, while Japan buys more and more votes by paying for small (and typically poor) nation's fees in return for pro-whaling votes. This meeting also promises to be packed with a lot of other related issues, ranging from food security to bycatch issues to "stinky whales" (which I promise is not a joke). After years of closely following IWC developments and staying caught up on all the whale drama, nothing has come close to the details I am now privy to being here in person. It is thoroughly entertaining and infuriating to see Joji Morashita, Japan's long time delegate and the chair for this year's meeting, sitting next to a representative from Senegal as this representative makes a statement pushing for the resumption of whaling. ​I would like to thank the American Cetacean Society Board of Directors for entrusting me with this amazing opportunity to represent the organization and serve as eyes and ears on the ground here at the IWC. It is truly an honor to see the inner workings of such a fascinating and important international body. Thank you ACS for your longtime commitment to being present and engaged at the IWC, may we protect cetaceans for many more decades to come. The mission of the American Cetacean Society is to protect whales, dolphins, porpoises, and their habitats through public education, research grants, and conservation actions.